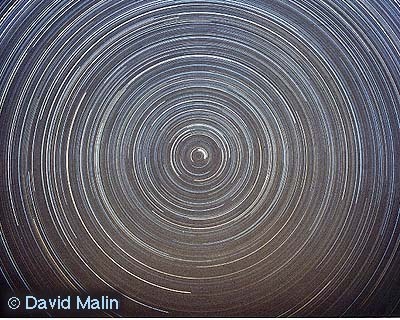 A long exposure photograph showing all of the other northern sky stars circling around the North Star. Image provided by ESO. You can use these 8 ways to find the North Star (Polaris). But, first, here is the classic way to find the North Star! Use the pointer stars of the Big Dipper. This is a reliable method for finding the North Star that has been taught to generations. Look at the two stars in the picture below. One is Dubhe – which is labeled a for alpha, and the other Merak – which is labeled b for beta. These form the outer lip of the Big Dipper’s cup. These two stars can be used to create an imaginary line to “point” at the North Star. The distance from the pointer stars to the North Star is about 5 times the distance between Dubhe and Merak. These instructions work for the 80% of people who live in the northern hemisphere – anywhere north of the equator. For the 20% of people who live in the southern hemisphere the North Star is not visible because it is blocked by the Earth. As you move south toward and past the equator, the North Star gradually sinks lower in the sky until it stays completely below the northern horizon. The North Star is also known as Polaris, the Pole Star. Its official name is Alpha Ursae Minoris (named Alpha because it is the brightest star of the Little Bear), but – according to this list gathered by astronomer Chris Dolan – it has also been called these deliciously mellifluous names: Alruccabah; Cynosura; Phoenice; Lodestar; Tramontana; Angel Stern; Navigatoria; Star of Arcady; Yilduz; Mismar. Find the North Star in the night sky by finding the star that moves the least. All the other stars appear to move through the sky in great arcs during the night. The North Star barely moves during the night. This is because the Earth’s axis points directly at the North Star. That means that if you could visit the north pole and look directly up you would find the North Star right above your head! The North Star stays in the same place no matter where you see it from on Earth. Once you learn how to find the North Star you may find it easy to find again. This is because the North Star is in a dark part of the night sky and there are not very many other bright stars around it. Look north and guess – you can find the North Star in a relatively dark region of the sky and there are not many other bright stars around it. If you are south of the equator, head north before you try to look for the North Star because you won’t be able to see it until you get the Earth out of the way. Use the Big Dipper cup stars as pointers. This is the classic way to find the North Star. The two stars of the Big Dipper cup are known as the “pointer stars” and they show you which star is the North Star. The North Star is about 5 lengths of the pointer stars away. Camera timelapse – ooh! I love timelapse. A great timelapse of the night sky is an unbeatable way to relax. 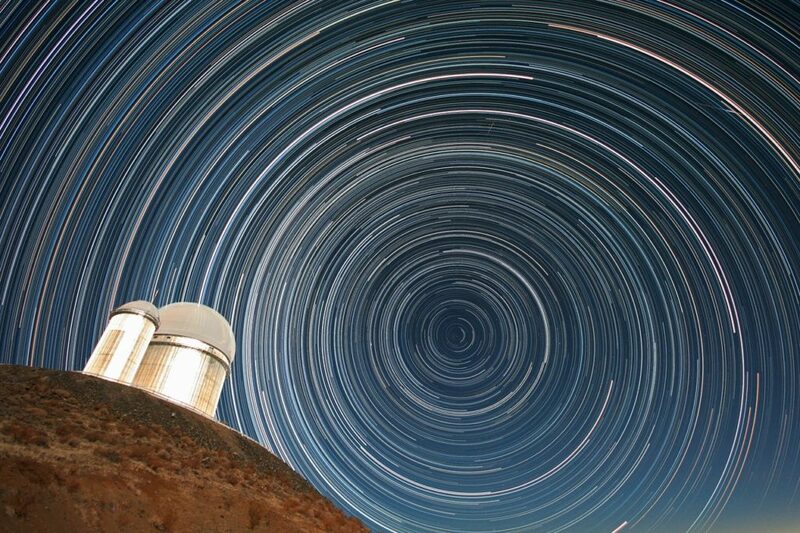 By taking a timelapse of the starry sky you can detect the apparent motion of the stars. If your timelapse covers enough of the sky (with a wide angle view) chances are that you will be able to identify the North Star because it is the star that moves the least. Phone app – grab a planetarium app like SkySafari. 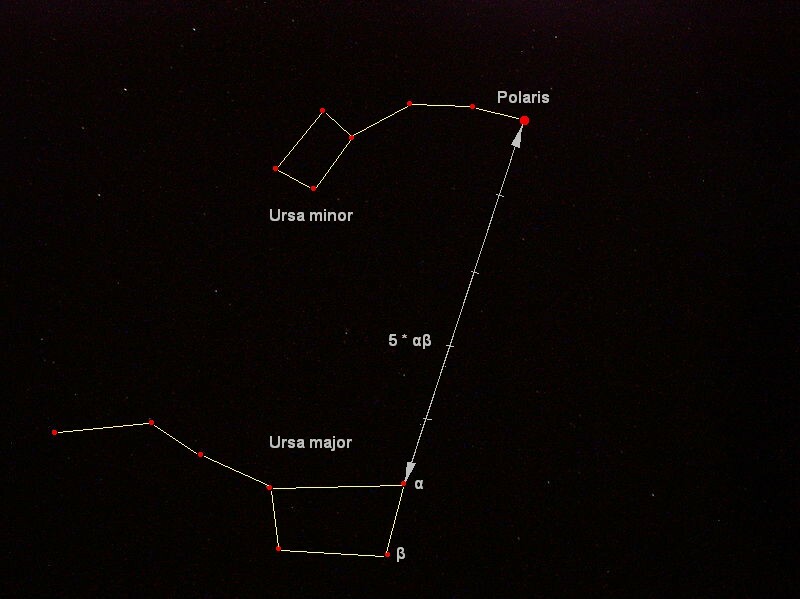 Almost every star app these days has a “Augmented Reality” view that you can use to find Polaris. Just use the AR method of holding the phoone up above your head and searching around or you can type the name of a star into the search box in the app. Observe the sky, patiently measuring the movement of every star. The one that moves the least is Polaris. This might take a long time because the stars move pretty slowly. Mark a known spot as your North Star viewing spot. This is easy to do with a product like the Star Spot. You can return to that spot any time of day or night to sight the star – the North Star is always in the same place in the sky. The North Star is located in between the two easy-to-identify constellations The Big Dipper and Cassiopeia – the Queen. Memorize its color and the stars around it – this is easier than it sounds! Polaris is a yellow supergiant and has a faint yellow tint. Also, the North Star is located in a region of the Milky Way that has fewer stars so it is surrounded by dark areas of the night sky. “The North Star is the brightest star in the sky.” – Nope, that distinction belongs to Sirius, the Dog Star. The North Star is the 50th brightest star. The North Star is still quite bright and it is easy to find. “The North Star will always be the North Star” – This is a myth. In fact, there have been several “North Stars” throughout recorded history. The ancient Egyptians saw Thuban as their North Star. “There is a South Star.” – While there is a star located close to the southern pole position (two stars in the Southern Cross point to the faint star Polaris Australis in the constellation Octans), it is not nearly as obvious or famous as the North Star. The North Star is a very special star! We learned how to find it.